The psalmist says, "And I will look up, "
I take a passage of scripture that speaks a truth about God and I repeat those words back to Him. I let my mind clear a space in my heart to receive. He writes back and reminds me of the times when I've seen this very truth activated in my life. I praise Him more for that reminder. And when I look up... I see up. I fix my eyes on who He is instead of what I'm not. As I blow-dry my hair or go to the gym or step on another Lego, my thoughts linger on His beauty, not on my lack. I'm learning to behold something other than myself... Because you become what you behold. I still trip over toys that creep out of their keeping places and my eye fixes on the pile of crumbs that my broom missed last night. My glass count is still slowly diminishing as slippery hands learn to unload the dishwasher. I sometimes walk by the mirror and glimpse greasy fingerprints on my shirt, lunch's leftovers on me. I still crave quiet mornings alone even as I welcome chatter and footsteps from our full bedrooms. The muss still speaks loudly in our home. But God is showing me that His aroma can rise out of and even over the chaos. His word is seeping into my heart as I scrub the dishes. Thoughts of His nature quicken my pulse when I am still in sweatpants, while the children chat over breakfast clean up or lunch preparation. Adoration is working it's way into my thought life, here. His word and His whisper are becoming central to everything. 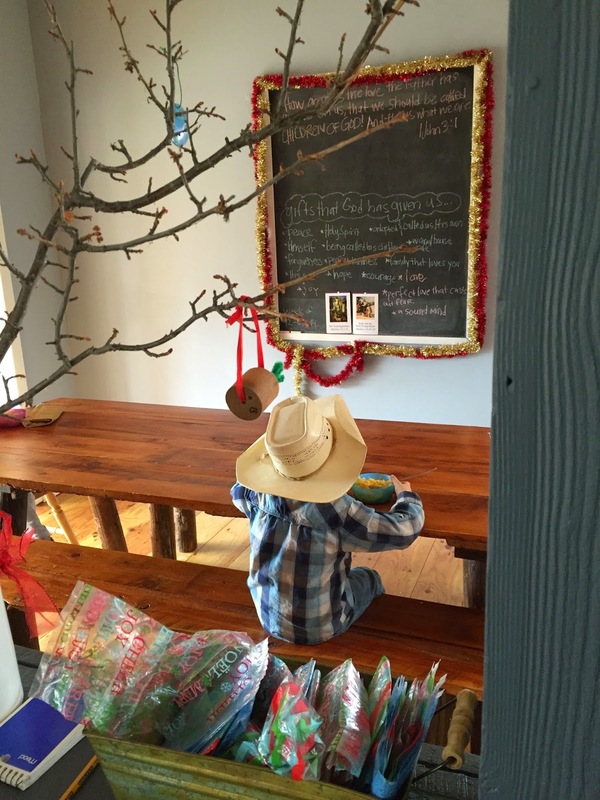 On Monday morning we sat around the farm table and made a list. A list of all the gifts we've already received, of all the gifts that He's already giving. 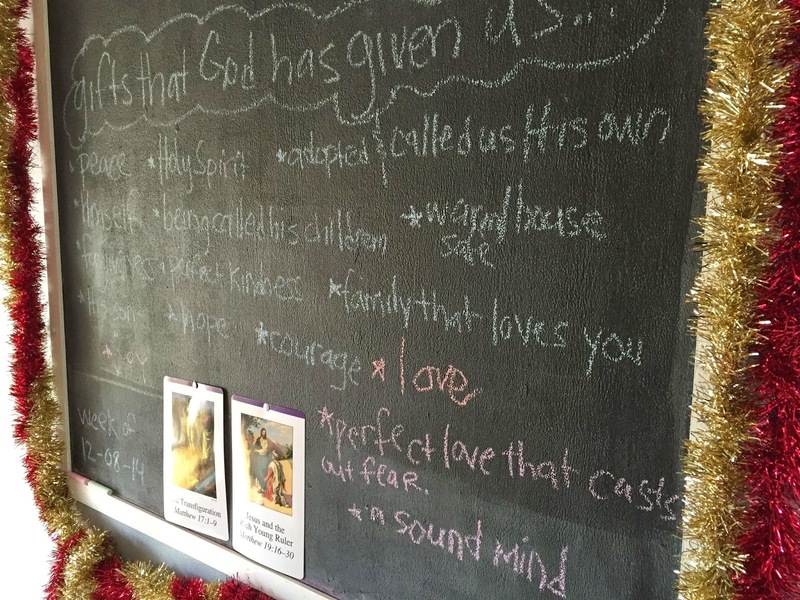 There are pieces of chalk that sit on the ledge above the glitter tinsel that borders our chalk board this Christmas season. The kids and I have been spending our days thinking upon all the best gifts... the ones we already have... the ones we'll have for always, and adding them to the list. Lord fix my eyes on You, instead of what I am not.